Learn more about Asian cuisine on a Food Discovery Tour! With its strong Asian influences, Sunnybank is a food precinct full of character and variety. 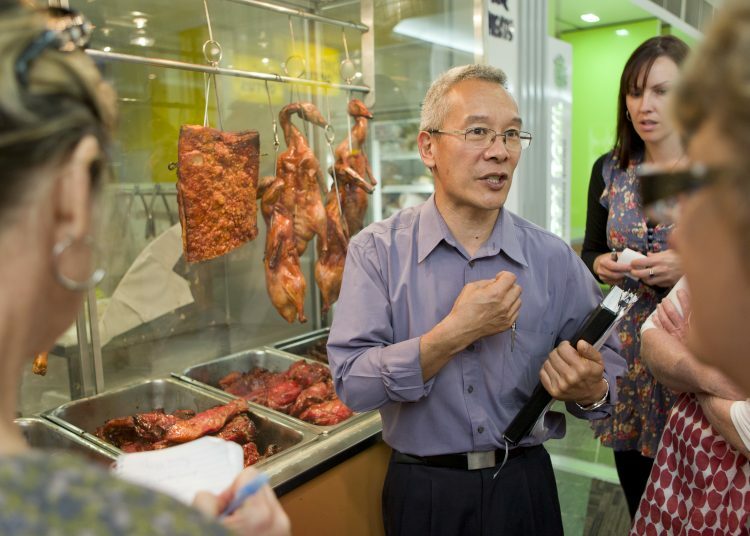 Our tour guide and experienced chef Tony will take you on a three hour, information-filled journey of discovery, showing you the best places to eat and shop for fresh Asian food. Along the way he’ll give you loads of hints and tips about choosing the best produce, advice about the key ingredients needed in your favourite dishes and some insight into Asian culture. Each tour will conclude with an authentic Asian meal. Those booking for our lunch time tour will enjoy Yum Cha at our famous Landmark restaurant, while our afternoon tour will conclude with a progressive dinner visiting several of our vibrant restaurants. Offering something for food lovers of all ages, these tours will introduce you to a world of delicious new flavours. Our small group tours are limited to 10 people ensuring a personable, fun-filled experience for all involved. Sunnybank Plaza has so much amazing food on offer, you just need to know where to find it! To start exploring, visit our Experience Sunnybank website. Gift vouchers are also available, and are the perfect gift ideas for friends or family members who enjoy cooking and love Asian cuisine. Vouchers are valid for six months from date of purchase. For more information or to register a place, please call Sunnybank Plaza Centre Management on 3345 7500. It was an amazing experience. We all loved it! Most of my friends never visited Sunnybank Plaza before and most of us never visited the shops that we did visit on Saturday. It was such a good experience, especially for non-Asian people like us in the way that we needed a tour guide to show us what products to buy and why. The food was amazing and different in a good way though. Thank you so much for this prize and thank you for having a professional so knowledgeable as Tony on your team.